Join us at the gallery every Thursday from 7:30 pm–10:30 pm as Bob Kato sets up a unique costumed model with varying themes each week. $20 admission per person, paid at the door. Attendees receive 15% off Nucleus in-store items. Free snacks and refreshments served. Our drawing workshops have a fun, relaxed atmosphere. Each session has a story theme with a model in character interacting within a set on our stage with carefully selected music and sound effects. You are welcome to bring any media and are encouraged to interpret the theme in any way you like. Host Bob Kato provides one on one instruction for those who would like some. All you have to do is ask. Come join us and experience our festive workshop. Coffee, drinks and various fattening refreshments are served. 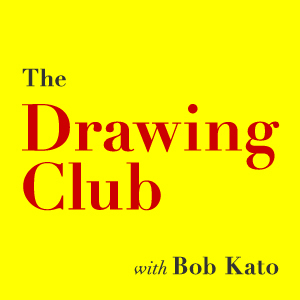 Founder and Director of The Drawing Club, Bob Kato is an Associate Professor of Foundation Studies and Illustration at The Art Center College of Design in Pasadena California where he has taught since 1988. He has also held workshops at Walt Disney Feature Animation, Walt Disney Consumer Products, Walt Disney Toons Studios, Walt Disney Online and Universal Studios Creative. As an illustrator he has done illustrations for publications such as National Lampoon and Spy Magazine as well as illustrations for permanent exhibits in The Smithsonian Institutes National Zoo and The Florida Aquarium. His work has been included in award annuals such as Communication Arts and The Society of Illustrators. 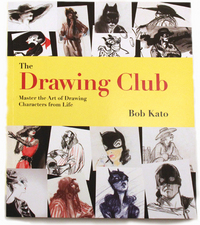 Bob has published 3 instructional DVDs about drawing and painting through The Gnomon Workshop and Design Studio Press.